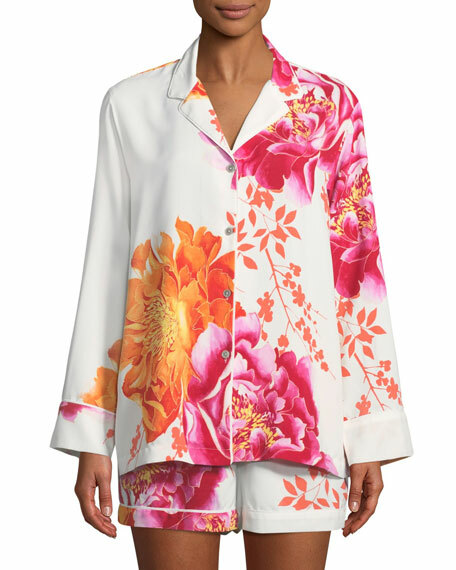 Natori "Bali" pajama set in floral-print. For in-store inquiries, use sku #2555375. Exclusively ours. 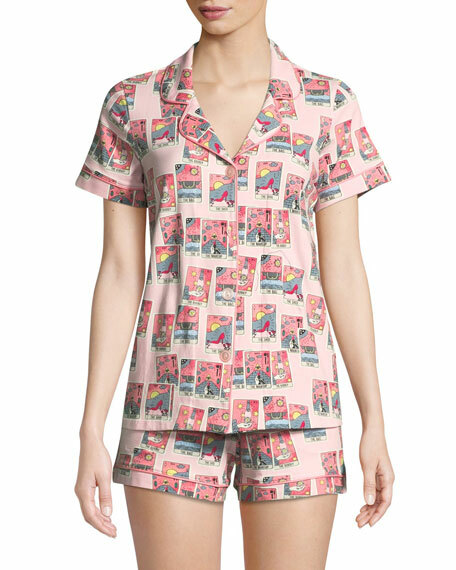 Bedhead pajama set in confetti print. Approx. measurements: Top, 25"L; shorts, 5" inseam. Notched collar; button front. Short sleeves. Straight hem Shorts have side pockets. Pull-on style. Cotton/spandex. Made in USA of imported materials. Cosabella "Bella" dot-print jersey pajama set with solid trim. Rounded notched collar; button front. Short sleeves. Patch pocket at left chest. Curved hem. Includes matching pull-on shorts. Cotton/modal. Imported. 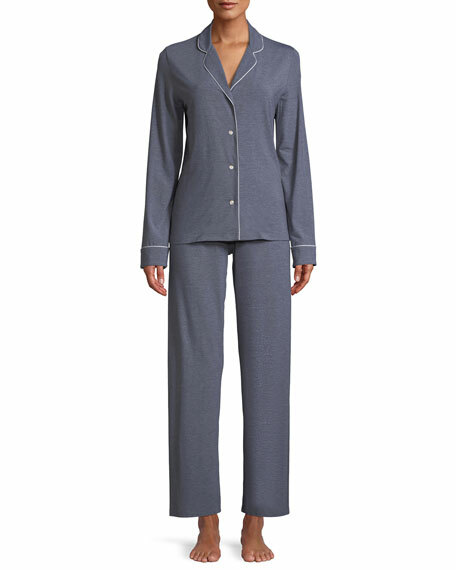 Derek Rose "Ethan" pajama set in contrast-piped jersey. Rounded, notched collar; button front. Short sleeves. 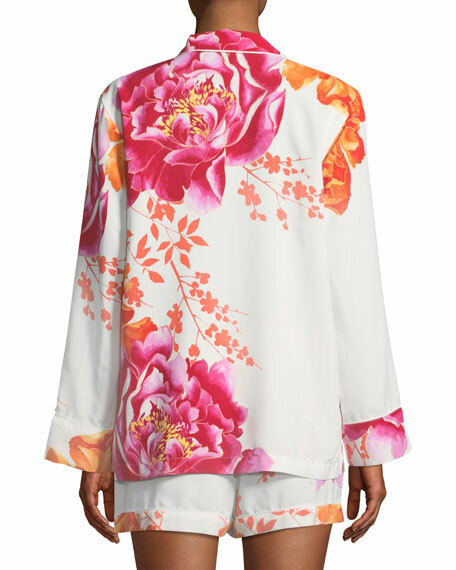 Includes lounge shorts with self-fabric drawstring. Made from sustainably forested European beech trees using a carbon neutral process. Micro modal/elastane. Imported.